OH-IO! Experience our Columbus-OSU property! Our Ohio State Columbus location is the perfect place to go for a game day experience. Whether it is football at The Shoe or basketball at the Schottenstein Center or just exploring the Ohio State Campus, out location is just a short drive or walk away. Football season is in full swing and the Ohio State Buckeyes are a force to be reckoned with! The Ohio State Buckeyes football team has won 8 national championships and 37 conference championships, 3 division championships, 10 undefeated seasons. Plus, you can’t miss TBDBITL! Experience the passionate tail gating before the game and the electric crowd and cheering to be heard for miles, this is a team everyone should experience sometime in their life! Not to mention it is just 1.6 miles away from our location! The Schottenstein Center, also known as the Value City Arena/The Schott is not only great for attending basketball games, but they also host concerts, comedy shows, family entertainment and more! Upcoming must see events include Winter Jame 2017 on January 21. Just walking distance away! Visiting your son or daughter at OSU? We’re only 1.5 miles away! Don’t waste any time on the commute, and don’t spend any more than you have to. While on campus, make sure to check out the William Oxley Thompson Library. The Ohio Expo Center and State Fair is less than 3 miles away. Check the year round events like the Color me Scarlet and Gray 5 K on November 20 and Ohio Chinese Lantern Festival November 25-January 2. Only 5.5 miles from our hotel, Downtown Columbus, the Arena District, Short North, German Village and Brewery District have so much to offer! Local shopping & boutiques, top-notch dining & bars, live entertainment, sports, and more. Guests have easy access to the 18-mile Olentangy Trail for biking, walking, or running. For dog lovers, there is an off-leash park for early morning or evening runs at Reed Road Park. Celebrate the season with the magic of holiday lights, music and some holiday spirit. Come and experience Wildlights at The Columbus Zoo (November 18th – January 1st). One of the best holiday lights shows in the country. You can also watch the animals or attend the keeper talks. The Columbus Zoo & Aquarium is home to more than 7,000 animals and is an easy 14-mile drive away. Catch one of the most electric holiday favorites of all time. The tradition and rock fueled fun of Trans-Siberian Orchestra comes to Nationwide Arena, December 29th. Enjoy this legendary show and make memories this holiday season. Enjoy a holiday tradition with the whole family. Stay Close to the New Albany Children’s Ballet’s fantastic performance of the holiday classic ‘The Nutcracker’ at The Ohio Theater, December 9th – 24th. Experience the vibrancy of Columbus with urban dining, arts and attractions such as the Columbus Museum of Art, COSI Columbus & the Franklin Park Conservatory. Known as the “Official Theatre of the State of Ohio“, the historic 1928 movie palace has been completely restored. The breathtaking details (including the 21 foot high chandelier!) and opulent Spanish-Baroque architecture and design make any night out at the Ohio an event to remember. See the Schedule, it’s worth a visit. Only 6 miles away from us. 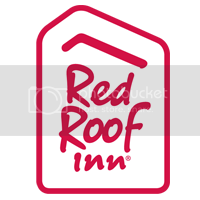 Experience the most out of your Columbus travel experience by staying at the budget friendly and pet friendly Red Roof PLUS+ Columbus – OSU property! Enjoy the firepit on the lawn, perfect on those chilly fall nights with a drink on hand and enjoy the NEW rooms at this 100% Smoke-Free hotel! Modern design flooring, a large, flat-screen TV, free Wifi, new furniture, spa-inspired bathrooms with modern vessel sinks, new comfy Rest Suite beds by Serta, plush high-end bedding and more! Book your stay now!